So it's previously been established that Vegetarian Haggis isn't in the slightest bit scary and is really tasty. 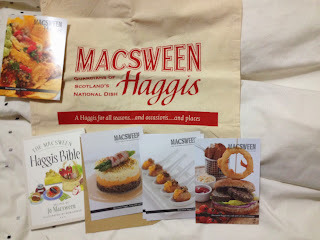 As mentioned there (which you should really read first if you haven't) the peeps at MacSween Haggis sent us a parcel of things (non food bits pictured above) that got us both excited and a bit scared. 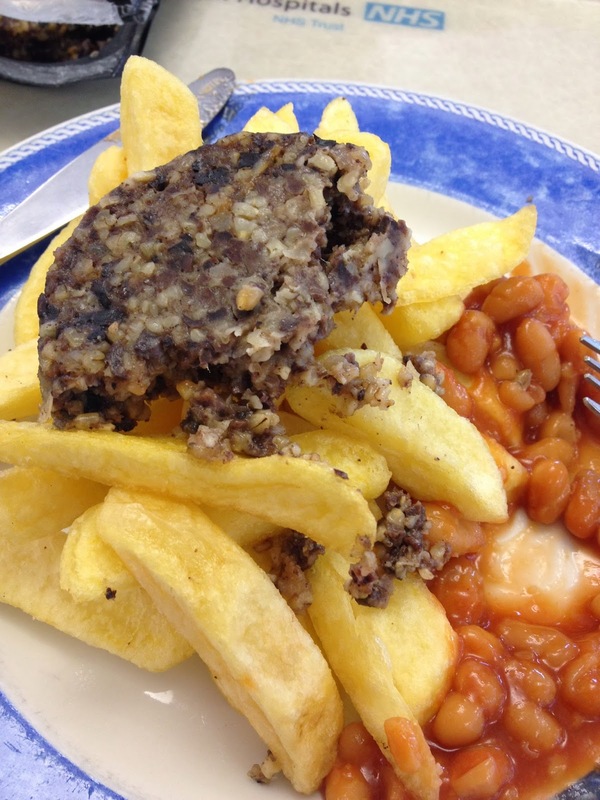 The middle level of this trio of foods is the Traditional Haggis. 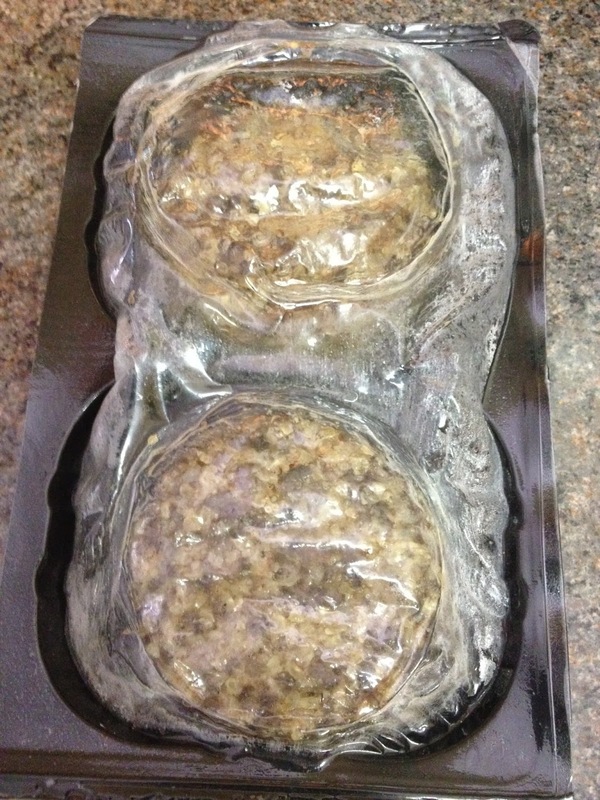 As you see they basically look a bit like burgers, but they microwave in 60 seconds and steam cook themselves in their own ingenious packaging. It had started to deflate as I took the picture - typically the one I videoed didn't inflate as much. This convenience style cooking enabled me to take it to work and to share it with as many people as possible. This isn't an easy sell - when you tell people it's Haggis and show them this. It's not a typical food appearance, with odd black and white flecks. Most of these I think are the oats which give it a fairly unique texture. As the main reviewer I scooped up the whole of the non crumbly one at the back and dropped it on top of my canteen lunch. Not the gourmet recipes MacSween suggested, but a realistic reflection on what I'd end up doing with these. Turns out it is also pretty tasty, although kind of odd. It's like a kebab meat mixed with the veggie haggis's herbs and spices and oats which creates a whole new dish (which I realise is more original than the veggie version). Something I don't think I'd appreciated with the veggie version is just how filling this was. I didn't want any of the 2nd Haggis disk not due to flavour, but due to being stuffed. This is an interesting turn of phrase as most people seemed to think that this was part meat part stuffing. 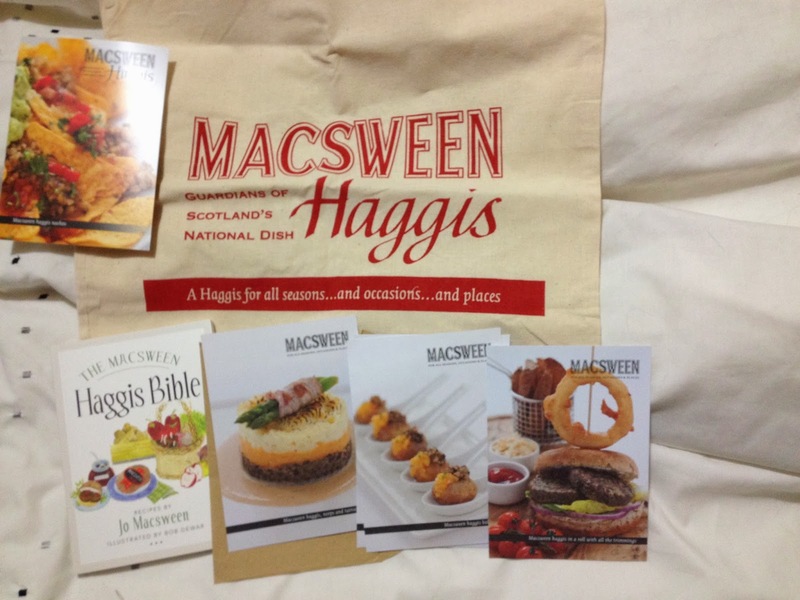 Other people who tried the haggis were all pleasantly surprised. Lunch-buddy Jon was happy to try it (and indeed ate a bit of his while I was still faffing about with mine) and had seconds despite it not really going with his sandwiches. The table of IT people I took it to were reluctant to be first to try, but all who did said it was surprisingly nice. Only one of the ladies who work in the lab was willing to try it, but she too enjoyed. In fact NOBODY that tried it didn't like it - the only people pulling faces were those that didn't dare to try it (a few due to it containing beef so not suitable for certain religions or vegetarians). 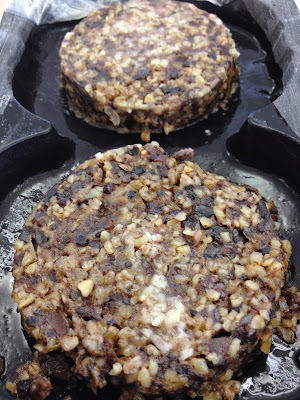 I think that the biggest hurdle for haggis is the psychological barrier - the same one that has me thinking of ways to avoid reviewing the final item in the parcel - the Black Pudding. Once word of mouth gets around that this is actually pretty enjoyable then it should be OK. I don't think it's an everyday thing, I'd probably buy the veggie version over this just because I can share it at home more easily. We do have plans to do an Ocado order for some and make haggis burgers for one of our weekly games nights though as that seems like a perfect fit. 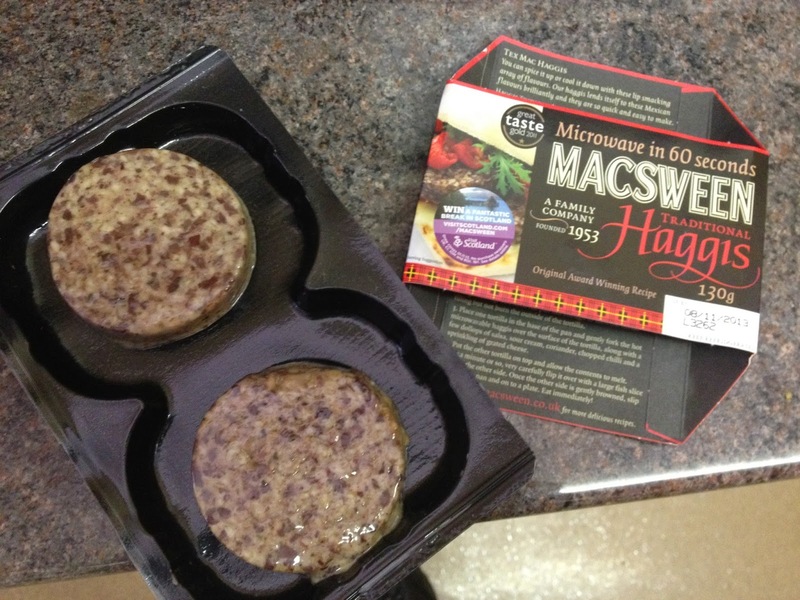 Haggis is great! Go far enough north and you can get it battered and deep-fried from the chip shops. There's one in Keswick which does it, and it's just the thing after a day walking the hills.